This paper focuses on the demand for a multiracial category in the U.S. Census in order to explore two intersecting aspects of the multiracial discourse. Attention is only given to the black/white binary for it is this angle which is the most contentious and has received the most public attention. On the one hand, the idea of multiracialism eclipses the broader issue of power partially because it is premised on privileging individual rights rather than group rights. On the other hand, the celebration of multiracial people may be read as a postmodern script in which women, as mothers, occupy a central role in the formation and politicization of racial identities. As a departure point, let us address the premise of the question posed by the multiracial movement: should racial classifications used to track broad demographic trends and monitor compliance with legislation against racial discrimination take each individual heritage into account? I suggest that the demand for a multiracial category confuses personal identities with prescriptive identities while ignoring the relationship between public policy and identifiable communities. Public policies that utilize race categories affect groups of people who may or may not subscribe to a shared collective identity but who are nevertheless perceived as a group. Government and institutional policies shaped by information gathered about social categories are not formulated for individuals but for groups. The political implications of this lead opponents and supporters of government sponsored social engineering to invoke the equal protection clause under the 14th amendment with very different interpretations. In a departure from the direction set by the U.S. Supreme Court 1954 decision in Brown vs. Board of Education toward civil rights legislation, the courts have moved away from protecting historically disadvantaged group rights evidenced by court-ordered repeals of affirmative action policies confusing invidious discrimination with remedial racial preference. As a preface, let me state clearly my position: race categories are public fictions which are deeply embedded in American ways of thinking and acting. Furthermore, because classifications based on the political and social category of “race” have no scientific basis, they are misused when appropriated as biological criteria into medical research in the United States [Tapper 1999]. Consequently, arguments for a multiracial category for health reasons (such as bone marrow donors) rely on a faulty notion that race categories can be adjusted for accuracy. Nevertheless, race has assumed the status of a social fact whose meanings reflect, and are reflected by, the cognitive feel of lived experience in a race-based society [Piper 1992; Scales-Trent 1995]. With the first patent being granted to “BiDil,” a combined medication that is deemed to be most effective for a specific “race,” African-Americans for a specific form of heart failure, the on-going debate about the effect of the older category of race has been renewed. What role should “race” play in the discussion of genetic alleles and populations today? The new genetics has seemed to make “race” both a category that is seen useful if not necessary, as The New York Times noted recently: “Race-based prescribing makes sense only as a temporary measure.” (Editorial, “Toward the First Racial Medicine,” November 13, 2004) Should one think about “race” as a transitional category that is of some use while we continue to explore the actual genetic makeup and relationships in populations? Or is such a transitional solution poisoning the actual research and practice. 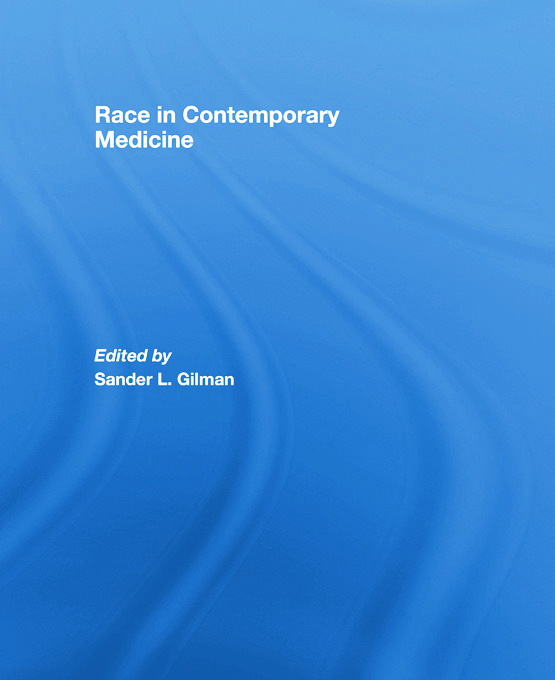 Does “race” present both epidemiological and a historical problem for the society in which it is raised as well as for medical research and practice? Who defines “race”? The self-defined group, the government, the research funder, the researcher? What does one do with what are deemed “race” specific diseases such as “Jewish genetic diseases” that are so defined because they are often concentrated in a group but are also found beyond the group? Are we comfortable designating “Jews” or “African-Americans” as “races” given their genetic diversity? The book answers these questions from a bio-medical and social perspective. This book was previously published as a special issue of Patterns of Prejudice. I begin with a brief review of how whiteness was established as a norm and context for considering initial media reports of U.S. Census data on race released in March 2001. This is followed by reflections on the politically conservative ramifications of multiracialism and multiculturalism, which have had an exaggerated impact on popular interpretations of the census. As a preface, it should be noted that although we are, collectively, caught in the trap of using race as a noun, race should be understood as a verb—a predicate that requires action. People do not belong to a race but the are raced; in this context, race operates as a social fact with concrete material consequences for the manner in which experiences shape individual lives and their meaning. Beginning with an examination of the concept of identity as it figures in philosophical and political thought, Gibel Azoulay moves on to consider and compare the politics and traditions of the Black and Jewish experience in America. Her inquiry draws together such diverse subjects as Plessy v. Ferguson, the Leo Frank case, “passing,” intermarriage, civil rights, and anti-Semitism. The paradoxical presence of being both Black and Jewish, she argues, leads questions of identity, identity politics, and diversity in a new direction as it challenges distinct notions of whiteness and blackness. Rising above familiar notions of identity crisis and cultural confrontation, she offers new insights into the discourse of race and multiculturalism as she suggests that identity can be a more encompassing concept than is usually thought. 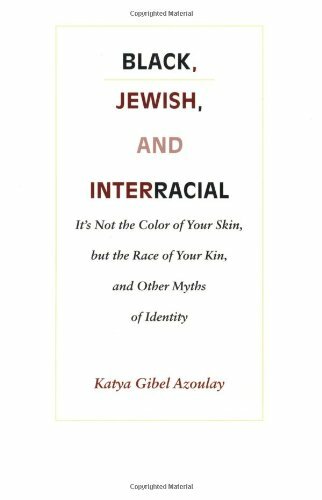 Gibel Azoulay adds her own personal history and interviews with eight other Black and Jewish individuals to reveal various ways in which interracial identities are being lived, experienced, and understood in contemporary America.